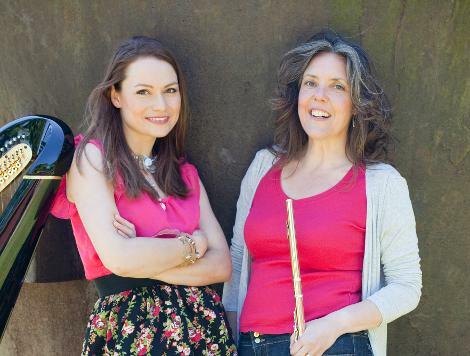 Aquilae Flute and Harp Duo specialise in concerto and recital performances, alongside interactive projects and workshops. For the Newbury Spring Festival, Lisa and Eleanor toured community venus performing for children, elderly folk and adults with a range of disabilities. Lisa Nelsen was born and raised on a pig farm in Western Canada and enjoys an international career as a soloist, chamber musician and educator. Her recitals have taken her to concert halls in Norway, Finland, Cyprus, Greece, Italy, Holland, Ireland, Kuwait and the United Arab Emirates, as well as throughout Canada and the United States. In February 2006 Lisa toured across the Canadian Prairies as a Powell/Sonare Flutes’ Artist. She has performed for the Canadian High Commission in London in the presence of Her Majesty Queen Elizabeth and Prince Philip. Lisa was the Specialist Flute Teacher for Wells Cathedral School from 2001-2017 and is professor of flute at the Junior Department of the Guildhall School of Music and Oakham School. She coaches the wind players at the National Youth Chamber Orchestra and the Main Orchestra of the National Children's Orchestra.